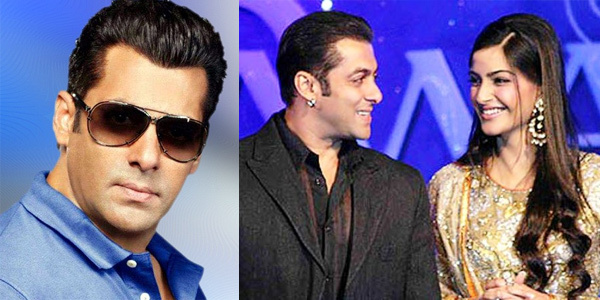 Taking clue from the ugly controversy that gripped Shah Rukh Khan after his comment on Growing Intolerance Salman Khan took a diplomatic stand on the issue. Interestingly when he was tried to be dragged further into the controversy and asked about his reaction on the remark made by Shah Rukh Khan on growing intolerance he cleverly sidelined the question by saying he is not aware of Shah Rukh's remarks on intolerance and hence could not answer the question. To this Salman Khan intelligently advised her that if it is a created atmosphere than do not create it because it is people like her who are unnecessary creating an atmosphere and increasing growing intolerance in India. Truly indeed Salman Khan is correct that the flames of growing intolerance have been fueled more by the media than anybody else. Hence the media instead of sensationalizing such sensitive issue must understand the gravity of the issue and work for the harmony of the nation. 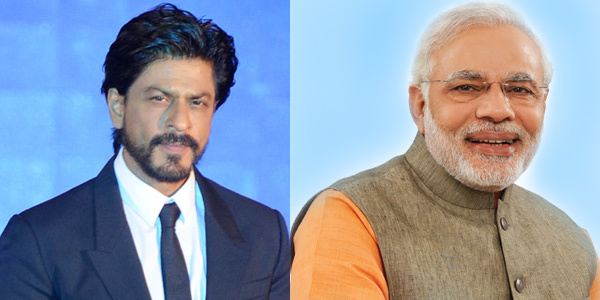 Shah Rukh Khan growing intolerance row: Mr. Prime Minister do not deceive the nation by adopting dual tactics! Wo qatal bhi karte hain to charcha nahin hota. This Urdu couplet suits to a Capital ‘T’ to describe the utterance by renowned Bollywood actor Shah Rukh Khan regarding the growing intolerance in the country. Before Shah Rukh put his stamp on the growing intolerance many Bollywood personalities including veteran filmmakers Gulzar and Mahesh Bhatt had openly condemned the menace of growing intolerance but there was no outcry but the movement ‘Superstar’ Shah Rukh Khan supported the movement suddenly there is a hullabaloo over his remark from every nook and corner of the country! A close examination of SRK’s remarks reveals that he has said nothing that is unpatriotic. Like a true patriot he has only urged the countrymen not to rip-apart the secular fabric of the country and live in harmony. However it is sheer tragic that the left wing Hindu fundamentalist leaders have termed him ‘Deshdrohi’ (Traitor), some have tarnished his patriotism by framing him ‘Pakistani Agent’ and worst some have equated him with Pakistani terrorist Hafiz Saeed. To add salt to injury on wounds of Shah Rukh Khan, eminent Yoga guru Baba Ramdev has went a step ahead and demanded Shah Rukh Khan to give away his Padmashree Award and all the money that came his way following the laurel. What is interesting is that while these ‘irrational remark’ have been made by the leaders of Hindu outfits the BJP Party has distanced itself from this controversy. Mr. Prime Minister you and your BJP party may be clean and working for the progress of the country but it is your affiliated group of parties who are creating unnecessary tension in the country be it the killing of rationalists MM Kalburgi and Govind Pansare, or the lynching of a man over suspicions he consumed beef, or the infamous ghar-wapsi etc. Hence if the government wishes to curb the protest against ‘Growing Intolerance’ than Mr. Prime Minister kindly come clean on the issue and do not deceive the nation by adopting dual tactics that of pampering the Hindu allied groups on one side and on the other keeping yourself clean from their crime!! !